Leadership skills, like most abilities in life, must be earned through practice and hard work. However, there are many different ways to be a good leader. In fact, great leaders often incorporate different types of management styles at different times. In this post, the experts at Sling will share 10 types of management styles for effective leadership so that you can take your management skills—and your business—to the next level. What’s The Best Type Of Management Style? 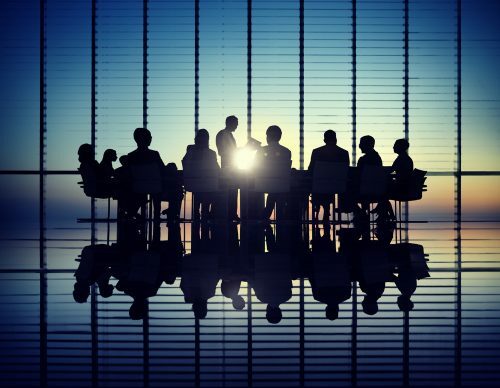 The simple, and perhaps somewhat disappointing, answer is that there is no method of leadership that is always superior to all other types of management styles. The best type of management style is one that is flexible, adaptive, and appropriate for the given circumstances. This is true because different situations call for different kinds of leadership. The type of business you manage. The volume of work that needs to be completed in the near future. Your personality and innate management qualities. The personalities and attitudes of the staff you’re currently managing. Once you’ve taken all of these factors into account, you’re ready for action! The next section will explain 10 types of management style for effective leadership. Democratic leaders are eager to involve their staff in company decisions. If you choose this management style, you’re showing your team that you trust them and respect their input. It also displays a confidence in both your employees’ opinions and your own ability as a leader. There’s no need to fire off commands or rule with an iron fist. You believe that employees can largely govern themselves and you’re simply a judge or referee to keep things moving in the right direction. To be an inspirational leader is no easy task, but it is extremely effective when accomplished. The inspirational type of management style requires superb people skills, a big heart, and an honest desire to help your employees develop both in and outside of the workplace. While there is much to be said in favor of a democratic leadership style, sometimes a situation calls for a dictator. Maybe you’re a new manager and the workplace seems a bit chaotic, lacking in order and structure. Or perhaps your employees tend to slack off and are in need of disciplinary action. The magic word for results-based managers is efficiency. You’re not concerned with how things get done, as long as they get done well and in the quickest way possible. You don’t feel the need to create every rule and method yourself—if an employee comes up with a superior way of doing things, you’re happy to make changes to company policy. The only thing that matters with this type of management style is results. The Laissez-Faire type of management style requires two things: an extremely laid-back attitude and a great deal of confidence in your staff. If you possess these two traits, you might be well-suited for a laissez-faire style of leadership. This method is effective because laissez-faire managers don’t busy themselves with micromanaging employees. At the same time, employees appreciate the autonomy they’ve been given and will often show more initiative than if they were being told exactly what to do and how to do it. The collaborative approach to leadership is similar to the democratic style but differs in one significant way. 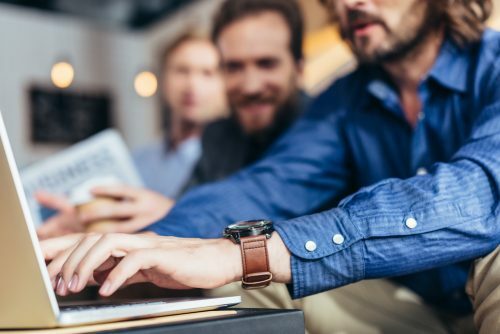 With a collaborative management style, you’re not simply asking your employees to participate in a yay-or-nay vote—you’re actively soliciting feedback from team members about company policies. You’re looking to have real, thoughtful conversations about improving your business, which empowers your staff and may even provide some innovative solutions. This management style is exactly what it sounds like: you lead by consistently setting an impeccable example of the kind of work standards you expect at your business. The bar is set by your actions and your actions alone. In some cases, this may even transform the ethics of and working environment of your business. Example-setting leaders are definitely not afraid to roll up their sleeves and get their hands dirty to show the crew how things should be done. Strategic managers aren’t interested in the minute details of basic tasks. Instead, they’re focused on the bigger picture and long-term success of the business they manage. 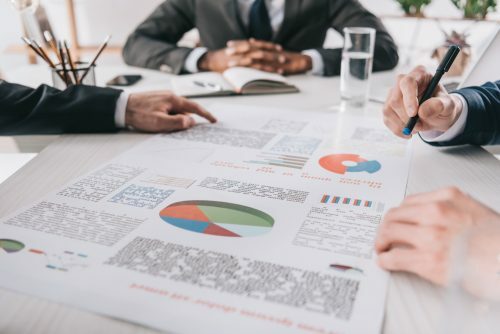 If you have a strategic management style, you’re comfortable allowing assistant managers and shift leaders see to oversee the majority of everyday responsibilities. While the crew gets the mundane work done, you’re planning marketing campaigns and preparing for expansion. The affiliative manager is humble, hard-working, and confident. These types of managers make themselves a part of the team and lead from the front, rather than constantly reminding employees that they’re the one in charge. 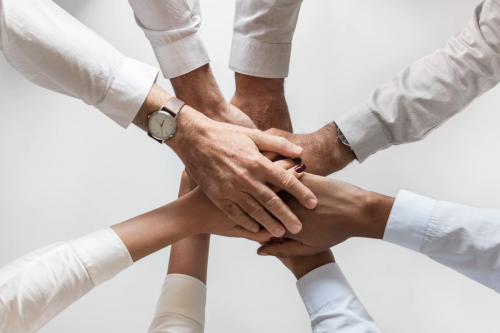 If this is your preferred leadership style, you’re looking for opportunities to affiliate yourself with your staff and lending a helping hand wherever it’s needed. Employees see you as an ally and will respect the fact that you’re trying to help them succeed. The charismatic management style—sometimes called the persuasive management style—is built around the personality and charm of the manager. If this is your type of management style, you’re focused on developing personal relationships with your staff and building a team in your workplace. Employees are cooperative because they respect the fact that you’re interested in getting to know them as individuals. Ultimately, any manager worth her salt will use a combination of these types of management styles. Leaders who know how to lead are flexible and quick to adapt to their environment. If you want to free up more time to improve your leadership skills, use Sling to create the perfect work schedule for your team. Formatting, producing, distributing, and editing the employee work schedule doesn’t leave a lot of time to develop your management style. Not to mention the time it takes to keep track of employees clocking in and out, labor expenses, payroll, and overtime. Sling simplifies and streamlines all of these processes so you can work on yourself. 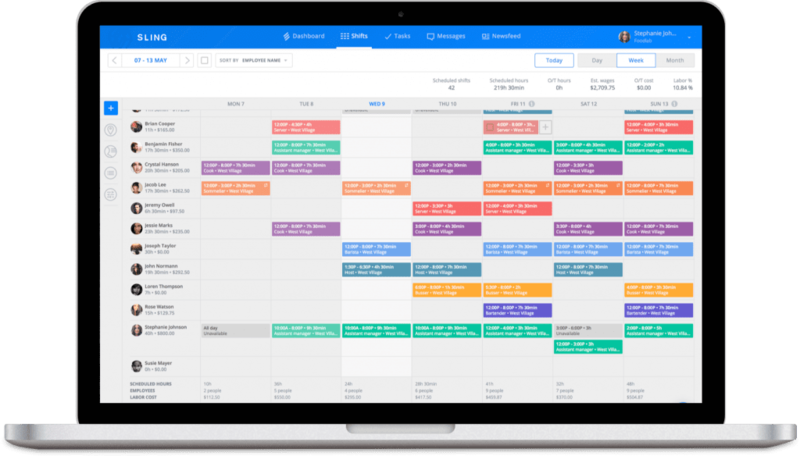 Not only is Sling an extremely powerful work schedule creator, but it’s also a mobile time clock, labor cost analyzer, intra-business messaging system, newsfeed manager, and employee task list all rolled into one easy-to-use package. You can even use one Sling account to schedule employees across multiple locations. Now that’s power and flexibility! Add in the onboard A.I. 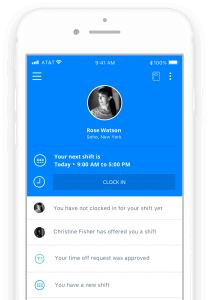 that notifies you when there’s a scheduling conflict or you missed a request for time off, and you’ve got the perfect system for managing your employees. The Sling app is free, easy to use, and will help you spend your time more efficiently so you can concentrate on honing your personal management style. From the retail and service industries to the healthcare and non-profit sectors, Sling will help you manage your business more effectively.